"All of a sudden your communications won’t work, or you can’t call for fire, or you can’t warn of incoming fires because your radars have been jammed and they can’t detect anything" — a retired Army colonel who specializes in electronic warfare told Foreign Policy. A new report details the Pentagon's growing alarm at increased instances of Russian electronic jamming attacks on American troop positions in Syria, which number according to public Pentagon statements at 2000 or more, located on and near a dozen or more "secret" bases mostly in Syria's northeast and embedded among the mostly Kurdish US-backed Syrian Democratic Forces. Since Russia intervened in Syria at the request of the Assad government in 2015, the two superpowers have butted up against each other on multiple dangerous occasions, but have communicated through an emergency "military-to-military hotline" meant to avoid aerial collisions and direct troop confrontation. Russia, alongside the Syrian government sees US troops as foreign uninvited occupiers, which have committed acts of aggression against the Syrian state, killing hundreds of Syrian Army soldiers (and instances of Russian mercenaries killed, though they were not under orders by Moscow) during multiple incidents near front lines in Deir Ezzor. And now, as Gen. Raymond Thomas, head of U.S. Special Operations Command, recently stated at an intelligence and military tech conference, Syria has become "the most aggressive [electronic warfare] environment on the planet." He said of Russian, Iranian, and Syrian "adversaries": "They are testing us every day, knocking our communications down, disabling our EC-130s [the Air Force's large Airborne Battlefield Command and Control Center aircraft]." Foreign Policy (FP) indicates that electronic jamming by Russian forces signifies an "escalatory" threat in an already confused environment given the broad array of groups and state actors operating in Syria. And the report cites Col. Sullivan further as saying, "It presented challenges to us that we were able to successfully contend with, and it gave us an opportunity to operate in an environment that can’t be replicated anywhere at home station, including our combat training centers." In a particularly disturbing quote reminiscent of the Cold War, the colonel notes "It’s a great opportunity for us to operate particularly in the Syrian environment where the Russians are active." Former CIA Acting Director/Deputy Dir. Michael Morell: We need to be killing Russians in Syria. Of course there's the much larger issue and contradiction of US troops being in Syria in the first place with no Congressional authorization or mandate from the American people whatsoever (unless, as President Donald Trump apparently believes, the old post-9/11 Authorization for Use of Military Force, AUMF, means US troops can just stay in the Middle East forever). Goure adds of the potential for an unintended clash between major powers like the US and Russia, "The trouble with [electronic warfare] broadly speaking is it can really screw with your picture of the battle space, your operating picture, and that can lead to really horrendous mistakes." 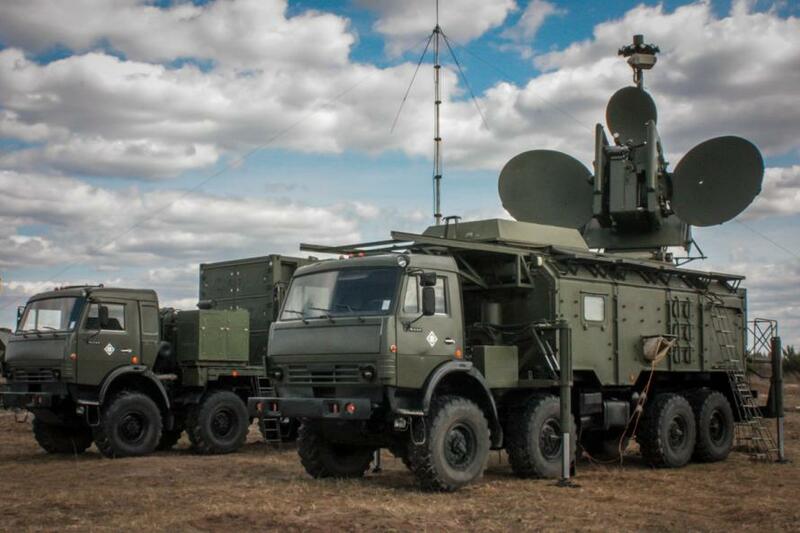 Russia has reportedly made huge advances in its electronic warfare systems capability over the past 15 years as it perceives the threat of NATO encroachment on its borders to be growing. Meanwhile Russia has indicated it is aware of future military actions that Washington and Western allies may be plotting against it. Russian Foreign Minister Sergey Lavrov said this week in public statements at a Russian educational forum, "Our awareness of what plans the US and other Western countries’ militaries are preparing in relation to the Russian Federation is guaranteed." He added that Russia and its air and land borders area secure "no matter what happens in the world," in what appeared to be reference to recent leaps in Russian defense and intelligence technology.